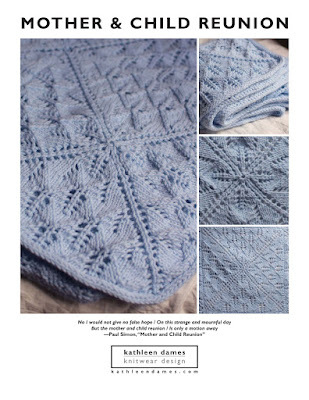 Just when the birthday let-down was kicking in, along comes the new Jane Austen Knits in which I have two patterns for you! The 2013 issue is now available for preorder, and printed copies will arrive in November. 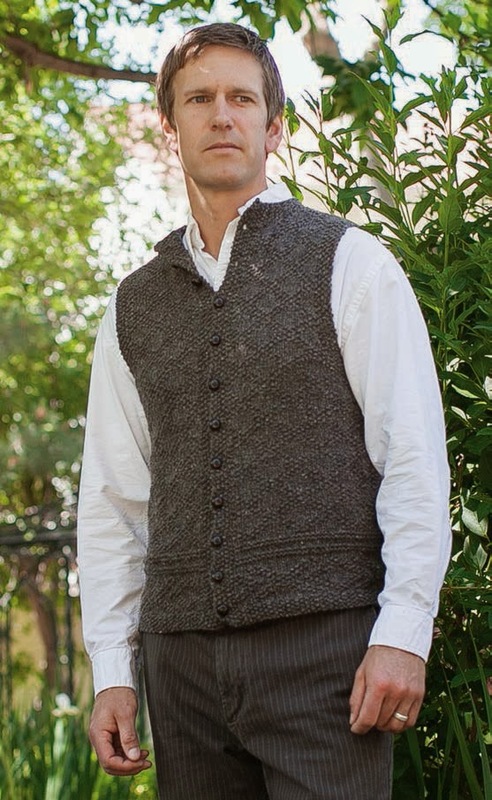 Inspired by the knit-purl patterns on the vest (a henley-style pullover, really) worn by King Charles I, this button-front vest is worked all in one piece from hem to neck. 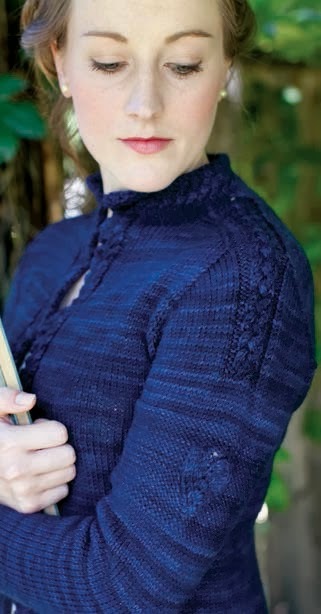 Finished off with short row shaping and three-needle bindoffs at the shoulders, this one is truly seamless. I loved working with Brooklyn Tweed's Shelter again and am looking forward to making one for myself. Care to join me in a KAL? Isn't the model a handsome example of an Austen man? As always the JAK staff have done a lovely job of bringing this issue together. King Charles Brocade pattern above the welting, diamonds and crosses below, with seed stitch edging everywhere. I found the lovely leather buttons at Mood and got to give Swatch a scratch behind the ears. Finished Size: 32 (36, 40, 44, 48, and 52)" chest circumference, buttoned. 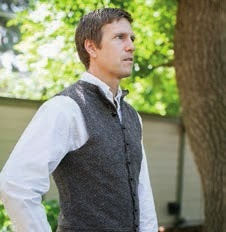 Vest shown measures 36". Yarn: Brooklyn Tweed, Shelter (100% Wool; 140 yds/50g skein): #08 truffle hunt, 4 (5, 6, 7, 8, 9) skeins. Needles: Size 6 (4.0 mm): 29" circular. A second needle of the same size is helpful for three-needle bindoff. Notions: Markers; stitch holders or waste yarn; tapestry needle; 10 (11, 11, 12, 13, 14) buttons. 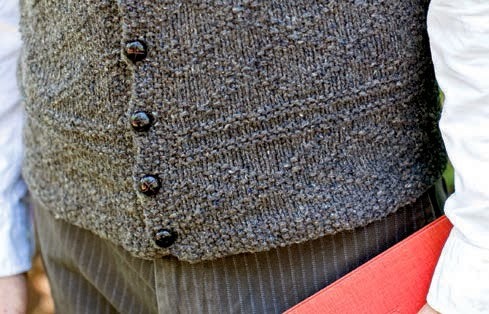 Find A Vest for Charles on Ravelry! Who doesn't have a soft spot for the sad, romantic Captain Benwick in Persuasion? I reimagined what a naval captain's coat might look like when worn by Louisa Musgrove: braided edging and epaulets, seamless saddle-shoulder construction, and a heart on one sleeve. This time I got to use String Theory's lovely Merino DK yarn. So soft yet nicely plied - a real pleasure to work with. Sometimes I love the crazy variegated colorways you find in hand-dyed yarn, but this time it was the subtle gradations that created little highlights in the cables that made me so very happy. 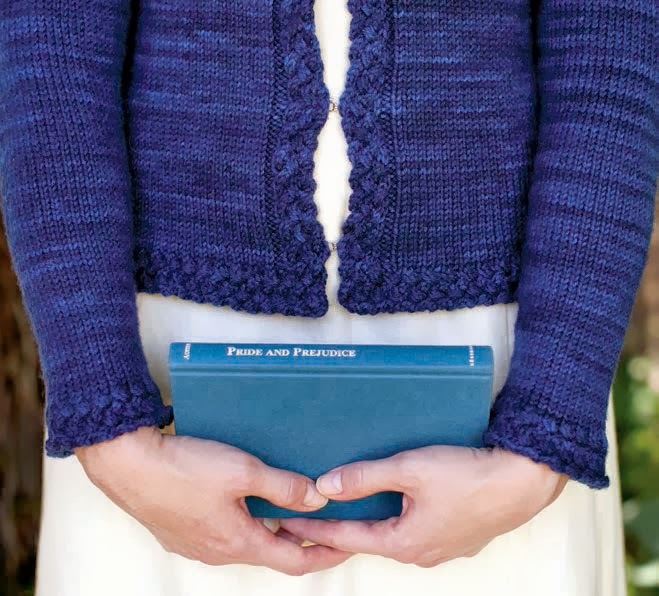 The Cobalt colorway captures that Regency Navy and looks beautiful doing it. String Theory is extra-special for me, as they are in Blue Hill, Maine. I think I'm going to need one of these for myself, too, so let me know if you are interested in a KAL for this, too. Finished Size: 32 (34, 36, 38, 40, 42, 44)" bust circumference, closed. Cardigan shown measures 32". Yarn: String Theory, Merino DK (100% Superwash Wool; 240 yds/4 oz skein): cobalt, 4 (5, 5, 6, 6, 6, 7) skeins. Needles: Size 6 (4.0 mm): 29" circular. Notions: Markers; coil-less safety pins or removable stitch markers; stitch holders or waste yarn; tapestry needle; 7 hook-and-eyes, sewing thread to match yarn, and sewing needle. Jane Austen Knits 2013 will arrive at your LYS in November (or in your mailbox if you preorder), but you can get the digital edition now in the Interweave shop. Having had a brief chance to flip through the digital edition, I have to say my queue is about to get a bit longer! And don't get me started on the article on Dorset buttons. I showed it to Nick and he said "Well, that's right up your alley." Countdown to Rhinebeck 2013: What to Wear?